drier, safer, and healthier stall. absorb liquid. No removal is required. Purchase: I board my horse at a large facility (400+ horses) in Southern California. The odor will take your breath away and it is one of the better facilities I looked at. My horse is a pig, figuratively speaking and I use 12 to 16 bags of shavings per month....or should I say I used to use 12 to 16 bags of shavings per month. I went to my local feed store Kruse Feed and the manager said I had to try Odor-No-More Bedding Additive. I have tried all the other products made from cat litter material or wood pellets and resigned not to waste my money on them again. Reluctantly I spent $40.00 + tax on this product because the Kruse staff swore by this product and the manufacturer offers a Money Back guarantee, which I found refreshing. Likes: I followed the instructions exactly because I planned to return it and wanted to give Odor-No-More a fair shake first. I noticed within a couple MINUTES all the odor was gone! The next day, still no odor. Two handfuls a day per the instructions was not enough to do anything...or so I thought! Now several months later I use the product every day. A 10lb. bag lasted 30 days the first month and I am using less every month now. I am down to 6 to 8 bags of shavings now. As a result Odor-No-More is SAVING ME MONEY. My stall is much drier and NO ODOR. Needless to say I never returned the product and I am a huge fan now. Quality: The packaging is beautiful. The 10lb. bag is easy to handle and store, although it could be a little thicker. The instructions are clear and have photos. I don't know much about product construction but it uses micro nutrients I feed my horse already to eliminate the odor. Summary: This stuff is truly amazing. I have talked to others that use it also and they love it. I am so relieved that finally a product is available to TRULY eliminate odor. The bonus is, it actually reduces my cost every month. Even after I spend the $40 on the product! I came from the East If you have not tried it you are really missing out! Hundreds of thousands of patients each year suffer from infections after surgery, and experts say more than half of those infections stem from bacteria the patients themselves are carrying in their nose or on their skin. Otherwise harmless bacteria can enter the body through surgical incisions and cause infections that can require expensive treatment, slow recovery or even cause death. “This is going to be a huge help to the infection-control crowd,” said Marcia Patrick, a nurse and board member of the Association for Professionals in Infection Control and Epidemiology, who was not involved with either study. “How can we not do this? It would truly be penny-wise and pound-foolish. And it’s the right thing to do for patients.”But two new studies suggest relatively simple ways hospitals can prevent many infections by killing the bacteria on the patient before surgery, with methods of screening, scrubbing or pretreating the patient that many hospitals do not typically use. The studies, published Thursday in The New England Journal of Medicine, examined infections that develop at the site of surgery, often around the incision, and afflict more than 300,000 patients a year in the United States. While experts are increasingly trying to stop hospital-acquired infections by approaches including stepped-up hand-washing by doctors and nurses, the new studies looked at the bacteria patients may be carrying before entering the hospital, especially a common bacteria, staphylococcus aureus. Dr. Verbrugh and colleagues tested patients for the bacteria using nasal swabs. They treated about 500 who carried the bacteria for five days with an antibiotic ointment on their noses and showers with soap treated with chlorhexidine, an antiseptic. After surgery, which sometimes occurred during the five-day treatment, those patients were 60 percent less likely to develop infections than patients receiving a placebo of ointment and soap. The study included only patients whose operations were extensive enough to require at least five days of hospitalization. Dr. Richard P. Wenzel, an infectious disease specialist atVirginia Commonwealth University, who wrote an editorial about the studies, said he would recommend the approach primarily for serious operations like heart surgery or joint replacements, or patients with immune system problems. But Dr. Wenzel said the method used in the second study should be adopted across the board. That study, conducted at six United States hospitals, compared the skin disinfectant hospitals use 75 percent of the time before surgery with another one. The researchers found that patients receiving the standard disinfectant, povidone-iodine, were significantly more likely to develop infections. Those cleaned with the alternative, chlorhexidine-alcohol, got 40 percent fewer total infections, and half as many staphylococcus aureus infections. A study author, Dr. Rabih O. Darouiche, a professor of medicine at the Michael E. DeBakey Veterans Affairs Medical Center in Houston, said chlorhexidine-alcohol was recommended a decade ago by the Centers for Disease Control and Prevention for cleaning when catheters were inserted, but had not been extensively studied for surgical preparation. Cost is a factor with both studies’ methods. Dr. Darouiche said chlorhexidine-alcohol costs about $12 per patient compared with $3.50 for povidone-iodine. His study was financed by CareFusion, which makes both products. It had no access to the data. Dr. Verbrugh, whose study was financed by several companies, said the most expensive part of his approach was the rapid-screening test for bacteria, about $20. He said some United States cardiac departments had begun using the nasal ointment for all heart surgery patients, without screening them for bacteria. Experts not involved in the studies said the added costs of the methods were dwarfed by the money saved preventing infections, which can run to tens of thousands of dollars per patient. Odor-No-More Featured in Leading Industry Publication- "The Horse"
Horse owners know first-hand how expensive it can be and that even "good" bedding cannot do the job. 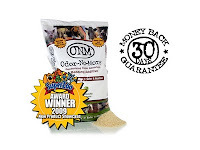 The solution to this age-old problem has finally arrived in Odor-No-MoreÔ, which just launched its award-winning super-absorbent product proven to lower costs and totally eliminate odor and moisture, reduce flies and promote hoof health to create a cleaner, dryer, safer and healthier stall. BioLargo, Inc.'s (Symbol: BLGO) line of Odor-No-MoreTM products help owners tackle the many unpleasant and unhealthy consequences of urine in horse stalls and trailers. "Until now, available stall additives did not help much," says Joe Provenzano, creator of Odor-No-MoreTM. 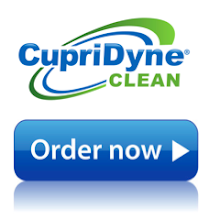 "With Odor-No-MoreTM, you can see and smell the results in minutes." Odor-No-MoreTM is proven to reduce the amount of bedding consumed by up to 75%. Flies disappear as a result of eliminating all odors that horse owners and horses breathe. Horse hooves are in better condition and the soil in the stall is amended to retain and absorb liquid. Amazingly, no removal required. 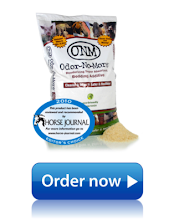 Here is how Odor-No-MoreTM works: take a handful of Odor-No-MoreTM and place it where your horse urinates. The urine is quickly absorbed. All unpleasant odors are immediately eliminated. Horses no longer step into puddles of urine. Flies no longer congregate. Hoofs remain clean and dry, and the horse is healthier. Cleanup and removal is as simple as putting on a pair of boots. After years without innovation in this category of products, Odor-No-MoreTM immediately took center stage with its launch this past year. It received a Best New Products Award at SuperZoo (the pet industry's largest show) and was rapidly picked up by major suppliers and retail locations, including O.H. Kruse and Sons and Star Milling, both feed producers, along with Jeffers Equine and Dover Saddlery, the industries largest catalog and online retailers of equine products. At a recent EquineAffair in Massachusetts, Tom Seay witnessed a demonstration of Odor-No-MoreTM and was amazed by how quickly and effectively the product worked. On the spot, he decided to feature the product on the show he hosts, Best of America By Horseback, on RFD-TV. The spotlight is scheduled to air in early 2010 on more than 600 cable networks and satellite providers in 14 countries. 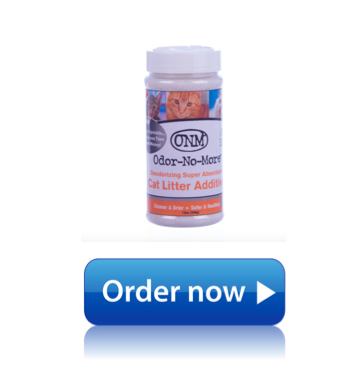 Through its quick acceptance in the horse industry, Odor-No-MoreTM has also proven to be a huge money saver for stable owners. The management at the Huntington Central Park Equestrian Center in California (HCPEC) testifies to the monthly savings from using Odor-No-MoreTM. In its toughest stall, the center saved more than $300 per month. After conducting an on-site trial and witnessing the remarkable benefits of Odor-No-MoreTM, HCPEC decided to adopt the product for use throughout their entire 460-stall facility. Odor-No-MoreTM began with Provenzano, who was raised on a horse ranch in Northern California and has tended horses his entire life. As a lifelong horse owner, working cattle, active in 4H showing horses and amateur rodeo, he has experienced the cost and labor involved with caring for horses. "Before we introduced Odor-No-MoreTM, horse owners just lived with all these expensive and messy problems," Provenzano says. "When we discovered that we could cut monthly costs so drastically and deliver all these great benefits, we knew we could transform the way our horses are stalled changing the industry forever." He worked closely with customers and equine professionals, including Jack Van Berg, the legendary Hall of Fame thoroughbred trainer, to create the ideal product for horses. They mucked a lot of stalls. Through several formulations and extensive testing to reach perfection, Odor-No-MoreTM was born. "I was excited about the product from the beginning," Van Berg says. "In my 50+ years training the best horses and winning the biggest races, I have never seen a product more effective." With Odor-No-More, soil in the stall is amended to absorb liquids, wicking urine away from horses' feet creating quality footing. Additionally, the product uses micro-nutrients for odor elimination. These are the same micro-nutrients supplied in feed supplements as well as curative products for many common hoof ailments. "I use fewer shavings in the stall and trailer because of Odor-No-More and that has saved us a lot of money and time," says Shelly Martin, NCHA 1995 World Champion. "The industry has been waiting for a product like this." "Of the more than nine million horses in the U.S., we estimate more than half are stalled with bedding," Provenzano says. "Before Odor-No-MoreTM, our average customer was spending $100 or more per month per horse in bedding alone. This multi-billion dollar industry segment was desperate for innovation to reduce consumption and disposal." BioLargo, Inc. is all about making a difference in the world with its patented and patent pending technology, and Provenzano recognized a way to do just that in the horse industry. It goes beyond just great products. It's about getting directly involved, and Provenzano became involved with The Red Bucket Equine Rescue in its infancy. "Saving money means more resources to rescue and rehabilitate more horses," he says. "The rescue industry is the saving grace for many horses. The amount of good a rescue can do is limited by financial support and keeping costs in line without sacrificing quality of care." As the man behind Odor-No-MoreTM, Provenzano has been diligently working with BioLargo's upcoming 2010 launch of www.Horsesaver.org to help fund rescues. The program provides a practical way for companies that make their money from the horse and to give back to the horse by contributing a percentage of the proceeds from their product sales to help fund equine rescues across the country. "We currently have multiple manufacturers and suppliers onboard," Provenzano says. "HorseSaver.org is unique in the way customers have the ability to direct money to their favorite rescue. We have a real shot at making a significant difference. Our goal is to provide financial support to every equine rescue in the country, funded by the sales of an array of high quality products through horsesaver.org. At BioLargo we believe doing good is good business."